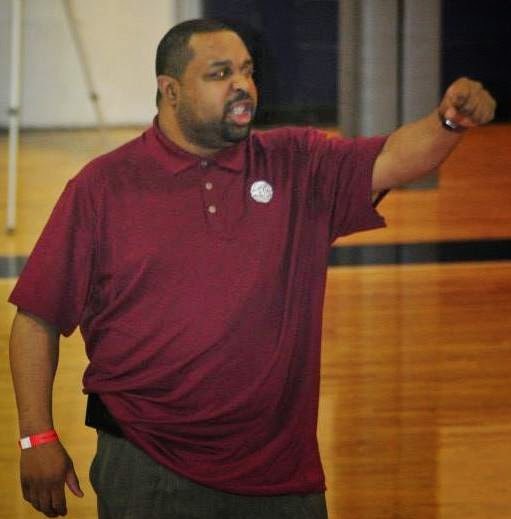 BASKETBALL SPOTLIGHT NEWS: Spotlight Exclusive: Coach Francis Speaks Out About AC Showcase! BS: How was the experience of winning the exclusive AC Showcase? CF: The hype was real; the event delivered ~ when you step into an event where there is nowhere to hide, where every opponent has a number in front of their name winning in that environment means something. Nothing was given and everything the kids got was earned – we have taken the hardware home in every single event we have played in throughout the country this year except one; but the AC Showcase Championship means something. Not just to the players, parents, and coaching staff but to the rest of the country. If you claim to be the best you want the AC Showcase on your resume. BS: How did you get your guys to rebound from that huge lost to George Hill Rising Stars? CF: Losing stinks. Whether you are a player or coach, how you handle losing speaks about your character, your competitiveness, your commitment to excellence, and determining whether losing will become a habit or the initial spark that ignites success. Even though losing is not the end of the world, losing should hurt and I would be lying if I said collectively we weren’t disappointed. When you invest an inordinate amount of time, effort, and love into something like the game of basketball, losing should hurt. If it doesn't hurt, then you don't care. And if you don't care, you shouldn't be playing. We rebounded by caring, caring about each other, caring about our committed to be great, and this was the spark that ignited our success for the remainder of the event. BS: Explain how you felt when you thought you were eliminated from the tournament but then it turns out it was a mistake on our end? CF: First and foremost, I personally have a great deal of respect for George Hill and Coach Mike Saunders; his team beat us in every facet of the game. They outplayed us, out coached us, and were simply the better team. In a one game high level scenario’s you don’t have room for multiple mistakes. I thanked Coach Saunders for smacking us all awake. I was tremendously disappointed initially learning and thinking that our tournament run was over – but as I told the kids, when you put your destiny in the control of others you have to live with the results. As well, I explained that in life you don’t always get a second chance but when and if you do; you appreciate and take advantage of the opportunity. Frankly, I was thankful that someone was aware of the rule, because honestly I had no idea and I was already game planning for another team. At the end of the day I was “thankful” for the opportunity it presented to the kids – as they took full advantage of the opportunity and the loss became a teaching moment for them. BS: Where does winning the #1 event in the country put your team in terms of the national elite? CF: Basketball is a game that guarantees you can’t always be at your best, and being the best means forever chasing a ceiling no one else can reach. We aren’t chasing titles or trophies – our roster, our schedule, and our mindset has a singular focus and that’s being the best “team” we can be for us. With the deepest roster in the country when we play our game and the players are coachable – we are a Terror and a tough out for anyone. This product was designed to the be the best in America period; and even after losing some of the top players in the country along the way the core players continue produce on a high level and win. The players not with us would make a top 10 team nationally and to that point I believe we have to be on the short list of the top teams in the country. There are still some boxes that remain unchecked in terms of goals that were set the first time we stepped in the gym together – I look forward to the challenge of proving we are the best of the best on the court. BS: How is the Terror Squad handling all the pressure of being one of the top teams in the country? CF: The pressure, the attention, the hype, the expectations are unparalleled. This group of players, parents, and coaches take basketball very, very seriously – it’s not easy; there is a voracious appetite for victory that expects to be fed each time we step onto the court, a need so primal that it carries with it an unrealistic level of expectation and, in turn, an extraordinary burden of pressure. We have a lot of strong personalities, very talented kids, who have grown accustom to winning. We have won yes…and that’s great – but the challenge for this group is respecting the game, being dedicated to the process, and being able to believe in and trust each other. When this group “gets it” and they have for stretches; and figures out that if they play as team and singular unit that no one can beat them is when they will achieve their full potential. Event at 57-2 we still have complaints/issues, but I refuse to give up on any kid and I believe it’s not an if, but a when that they will figure this out. The game at the next level is play selflessly; their future success depends on their understanding of this concept. BS: What message do you have for the elite teams that didn’t attend this event? CF: I understand. It’s easy to gallivant around and beat on your chest. It’s easy to impose your will on a tailor made schedule. At the end of the day at this level and the next those that know, know where the best tournaments and leagues are. For those who choose to avoid in their entirety this circuit and this level of play and specifically this event. I understand. There are some great teams that didn’t attend this specific event as great as it was; but you see them in other high level events – respect to them all. The AC Showcase year in and year out continues to be a forum where you can prove; you are who you say you are. Again, I understand. What I don’t understand is how someone wants to be mentioned with the best as the best – tells folks not to run from them; but fails to show up when the lights are at their brightest. That’s what America and what I don’t understand. BS: Since the AAU Nationals will not be the same this year, what championships are you guys trying to seal up your place as the best in the country? CF: As I mentioned before, the first day in the gym we laid out the goals – the AC Showcase was on the list and that box has been check. There were a set of clubs that we wanted to see independently or in events and many of them as well, have been checked off the list. There were goals that we had that spoke to opportunities for the kids and their future and those have prevailed and are continuing to be developed with respect to next level circuit access. We are competing in the NYBL and that league championship is on the list. The easiest way to put it is like this; if we win every game, event and league that we compete in I don’t think that the country can deny these kids the title as the best in the country. I love each one of them and of course I am biased in this one instance but I they have the potential and deserve this title. BS: Any parting shots for the fans out there? CF: I love the kids on all levels; there are so many talented and special kids and teams all across the country – there is such joy in seeing each of them continue to grow, mature, and get better – never stop believing and achieving your dreams. But there are two things that remain consistent at every level of basketball from youth to the pro’s first, it’s always about development & improving and two, in order to be the man, you have to beat the man.